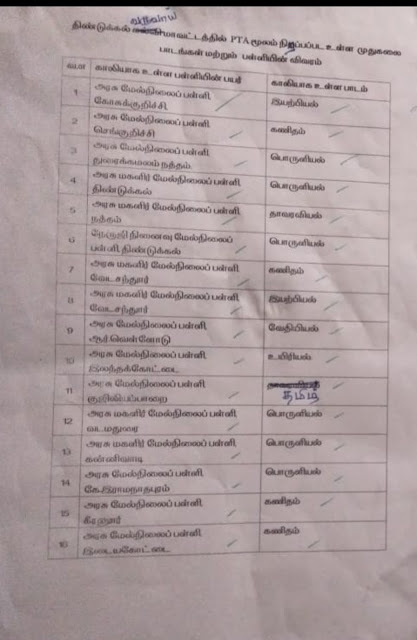 Home Education News PG TEACHERS VACANCY SCHOOL LIST 2018- 2019 | DINDIGUL District!!! PG TEACHERS VACANCY SCHOOL LIST 2018- 2019 | DINDIGUL District!!! Previous articleTerm 2 – 4th Std – English – “Tenali Rama And The Thieves” (Story In Tamil) – Video Lesson!!! 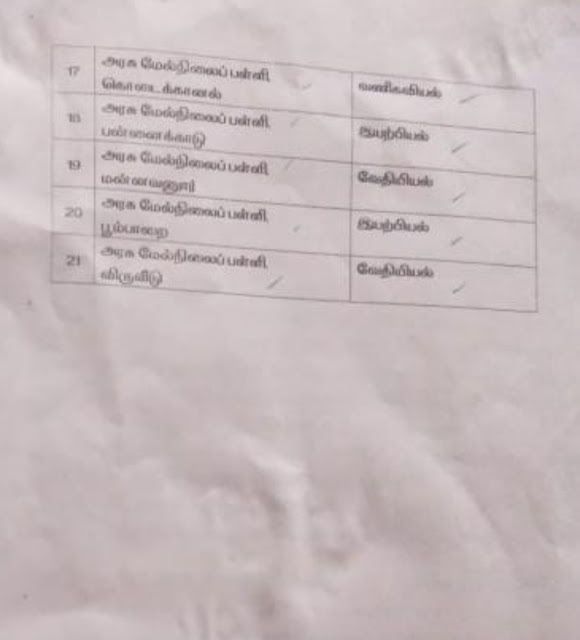 Next article5-ஆம் வகுப்பு ஆங்கில கையெழுத்துப் பயிற்சி கையேடு!! !